Africa’s biggest mobile network MTN has announced that its Nigerian chief executive officer has resigned amid a multi-billion dollar fine in that country. [contextly_sidebar id=”BEeq82bkNHTSTvw4BwZyIyYHuDYfCPO3″]The company announced in a statement on Thursday morning that Michael Ikpoki, its Nigerian CEO, has handed in his resignation with immediate effect. MTN Nigeria’s head of regulatory and corporate affairs, Akinwale Goodluck, has also resigned. The former chief operating officer and chief financial officer at MTN Nigeria, Ferdi Moolman, will become that business unit’s CEO. Nigerian national Amina Oyagbola has also been named head of regulatory and corporate affairs at MTN Nigeria. 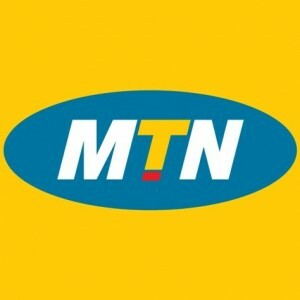 The resignations in Nigeria come amid MTN being fined $5.2bn by regulators in that country for failing to disconnect up to five million unregistered SIM cards in that country. However, in a market update to shareholders on Thursday, MTN said that the Nigerian Communications Commission (NCC) had agreed to cut the fine to $3.4bn and that this penalty needs to be paid by December 31 2015. In the wake of the announcement of the fine in late buy accutane online canada pharmacy October, MTN’s group chief executive officer Sifiso Dabengwa subsequently quit amid the company’s share price losing a fifth of its value. MTN’s former CEO Phuthuma Nhleko was then appointed as executive chairperson and tasked with tackling the fine. MTN also said that the search for a new group CEO is underway and remains a priority. Meanwhile, along with the announcement of the Nigerian resignations, MTN said that the group has resolved to re-implement its previous reporting structure which splits its operations into three regions: West and Central Africa (WECA), South and East Africa (SEA), and Middle East and North Africa (MENA). The company also announced other new senior appointments in line with this structure. “This revised structure and strengthened leadership will improve operational oversight and increase management capacity,” said MTN group executive chairman Phuthuma Nhleko in a statement. MTN has over 230 million subscribers across Africa and the Middle East and over 60 million in Nigeria, making it that country’s biggest mobile network.